Colombia Redes Review 2019: Is Colombia Redes a Good Hosting? Colombia Redes is a web hosting company which caters to the Latin American community. It offers integrated solutions for domain management, electronic commerce, and advanced-level data hosting. Since starting in the year 2006, Colombia Redes has focused mainly on providing web hosting solutions throughout Latin America. Its primary objective is to provide the best web-based services at the best prices and to hold the biggest hosting market share in the Spanish speaking world. The company works to achieve the highest levels of customer satisfaction by ensuring internet efficiency and by fostering strategic alliances so to provide businesses with the best solutions. The Colombia Redes website is in Spanish. The Windows shared hosting plans come with similar features but support ASP.NET and SQL Server Express whereas the Linux plans support PHP and MySQL instead. Colombia Redes also offers two website-building plans. I tried creating a website with the provided Site Maker software, and it was incredibly easy. You can choose from a variety of included domains (.com, .net, .org and .biz. ), and even the lowest site-building package includes features such as an image gallery, YouTube integration, SEO optimization, payment buttons, responsive design, and multiple pages. This provider’s hosted websites are secured with SiteLock. They have highly configured CSF firewalls and mail scanners, and they also offer SSL certificates. 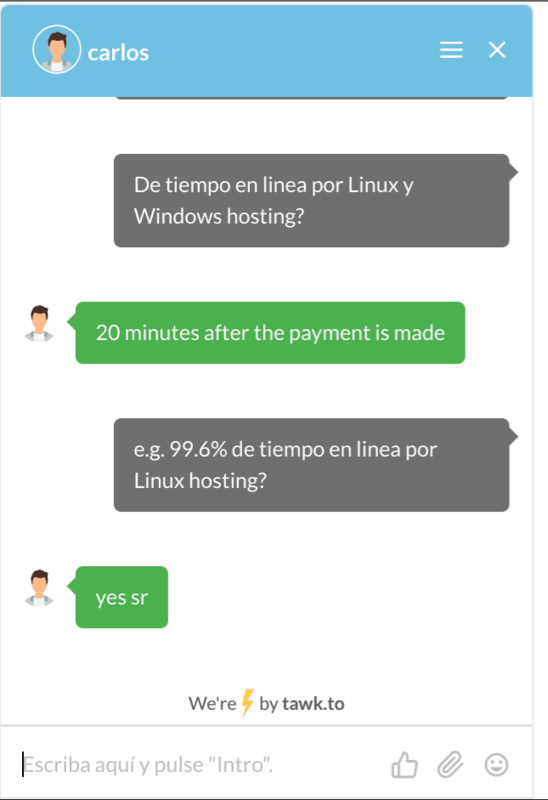 There is no specific mention of average uptime for Linux and Windows hosting plans, but reseller packages state “99% online time.” My attempts to clarify this with a live chat agent were unsuccessful. Colombia Redes offers very fair prices for the quality of the services, and it also offers some great discounts. Payment methods include the ePayco easy online payment solution. I took advantage of a negotiated three-day free trial to test the services, which provided a little time for me to try before I buy. When you think you’re ready to commit, you can take comfort from the 15-day money-back guarantee that will get you out within two weeks if it all goes wrong. It is easy to move between hosting plans by simply sending the vendor an email and paying the surplus. Colombia Redes serves a multitude of clients in the Spanish speaking world. It’s a very user-friendly host – especially if you speak Spanish – and you don’t need much knowledge to get started. 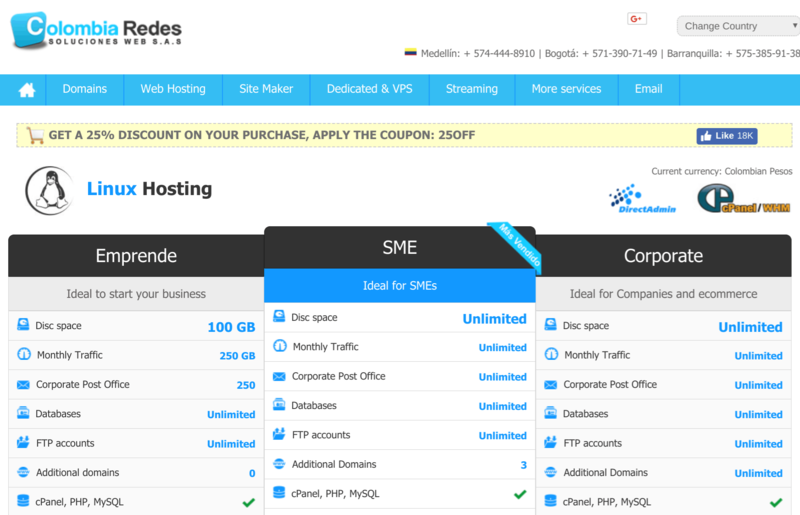 Wondering how Colombia Redes stacks up against other Web Hosting companies? Enter any other Web Hosting company and we will give you a side-by-side comparison.